Some say, there is no heaven on earth, but I would say, a piece of it falls in Munnar of Kerala. When we think of Munnar hill station, the things that come in minds are the picturesque valleys and lakes, exotic velvety greenery over the sky kissing mountains, dense forests, breath taking wildlife, awesome route for trekking and the infinity of tea plantation that may be poetic inspiration to many. Munnar got its name from the language Malayalam that says moonnu and aar as three and river respectively. The three rivers that Munnar houses are Mudhirapuzha, Nallathanni and Kundaly rivers. 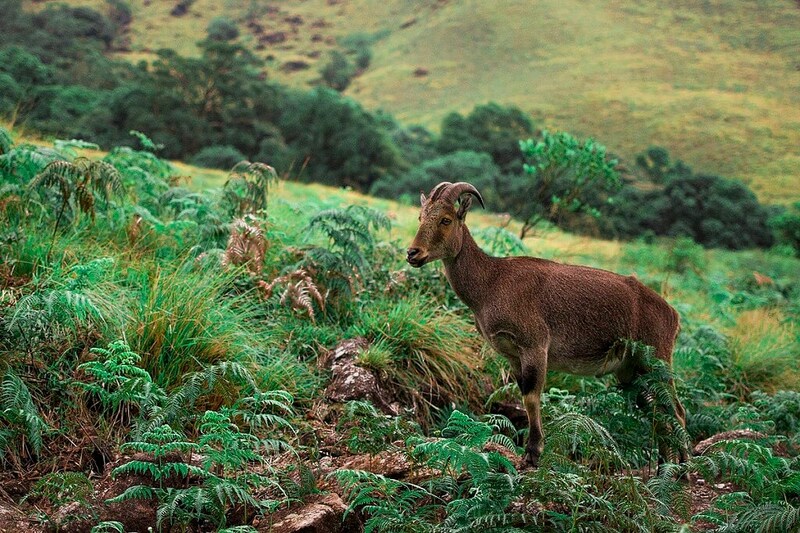 Munnar is blessed to wrap some of the extremely endangered species like that of Nilgiri Tahr and the Neelakurinji. 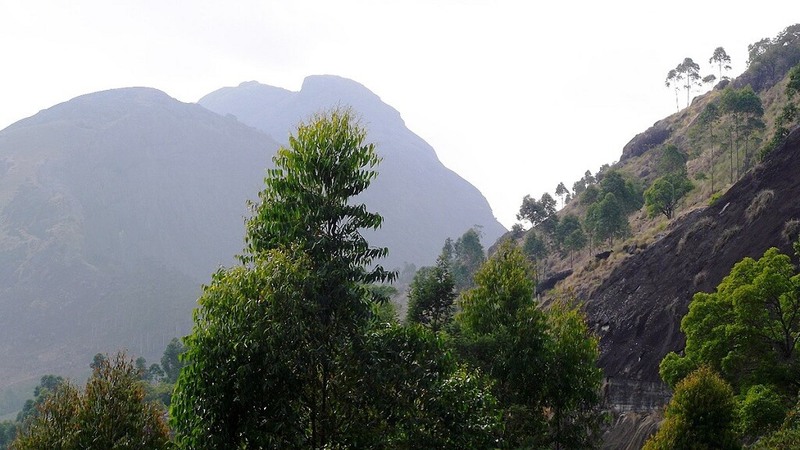 Munnar has emerged as the choice of tourist destination in the last few years. It gives the perfect location for the ones looking for honeymoon destination, picnic with family, gate-away with friends or the ones seeking trekking experience. Once you are here, there are numerous sites to see and explore, but here I am sorting out the best places for you to cover in a day trip. Important Travel Tip – We have listed below tourist places of Munnar which can be visited in a single day so, here you need to plan your day accordingly else you will miss some places by the end of the day. Here we recommend you to start your trip early in the morning in between 6 to 7 AM. As you all know that Munnar is a hill station so roads are in mountains and those are curvy as well so, if you want to reach any particular destination than it will take time so, manage your trip time accordingly. Here, we are listing most popular and beautiful tourist places of Munnar which can be easily cover in a single day. After travelling for nearly 40kms from Munnar you can reach this beautiful view point, which is thought to be the highest altitude in Munnar. Not only the peak, but the roads you cross to reach here are also picturesque and awe- inspiring. You will witness the exotic lush green scenery with the chirping birds following all the way, the mouth watering aroma from the tea gardens around and the huge dams throwing water to fulfill the needs of mankind. Consider yourself most lucky if you did not meet any fog to translucent the view here, or even in case you happen to meet some, they are always there to add to the beauty and freshness of the place. As it is said nature gives every time and seasons some beauties of its own. I am sure this one touch of nature is going to make your whole world go kin. I would recommend visiting here between 6am to 08:30am, where you can see the best of the view here and can also walk past clouds. Rest all the places can be covered on the back way from here. If you ask me, I would say that Pothamedu is the best view point in Munnar. After driving for nearly 5kms from Munnar you can reach this alluring point and feel yourself closer to nature. Although this place is recommended for both, sun rise and sun set but I would suggest to go for sun set view here. You can opt for timings between 4 to 6pm to see the exquisite beauty of this place. This place is great for the nature enthusiasts and the adventure lovers to unwind into the arms of the Mother Nature. 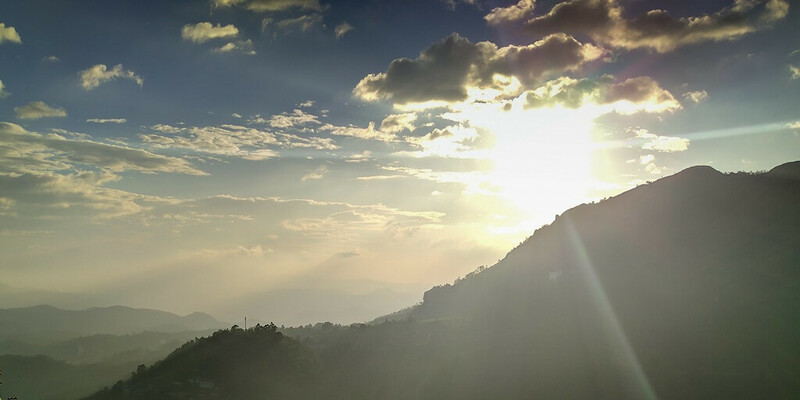 The place is sure to keep you occupied and thrilled with its undulating valleys, floating clouds, colour changing sky and the scenic green forest. The feeling on walking past the dense plantation of coffee, tea, spice and cardamom is surreal. It is truly said that as you become closer to nature, you will be able to appreciate the beauty with which the world you are living is endowed. 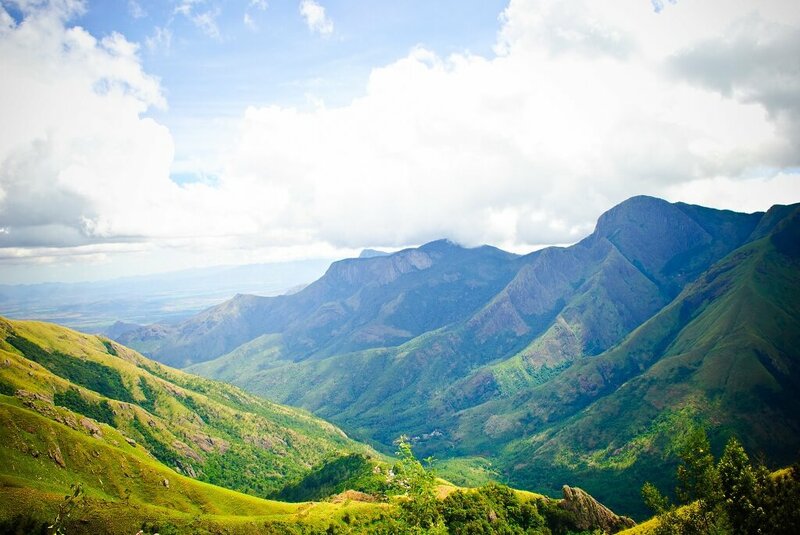 After travellig for about 13kms from Munnar you will reach this amazing destination called lockhart gap. It can be regarded as the hidden star of the Munnar in the way that it has such a lot of breath taking scenes to expose. Be it the nature enthusiast, explorer, traveler or the adventure seeker, this place is surely going to touch every ones soul. You can view the poetic landscape with mist covered acres of tea plantation, leaves flattering huge trees, spine chilling air blowing untangling the hairs and the panoramic view of valleys, what else is needed for a perfect escape from the hustle bustle of the city. Don’t forget to walk past the narrow muddy lanes of the mighty tea gardens Visiting here any time of the day is going to give you the same thrilling experience. The tour to lockhart tea factory is an amazing experience in itself. Here you can see the tea manufacturing process and can learn the health benefits of Orthodox Tea. This tea factory is the best one in the place as you can watch the live processing of the tea here. Right from bringing the raw leaves from the garden to sorting them and processing into the dried storagable packages, all can be witnessed here. Other factories don’t give such a lifetime memorable experience to the tourists and usually work by giving demo only. So visiting here surely going to leave you with a unique experience. Apart from this, you can visit a plantation museum here that showcases the heritage of Plantation culture. 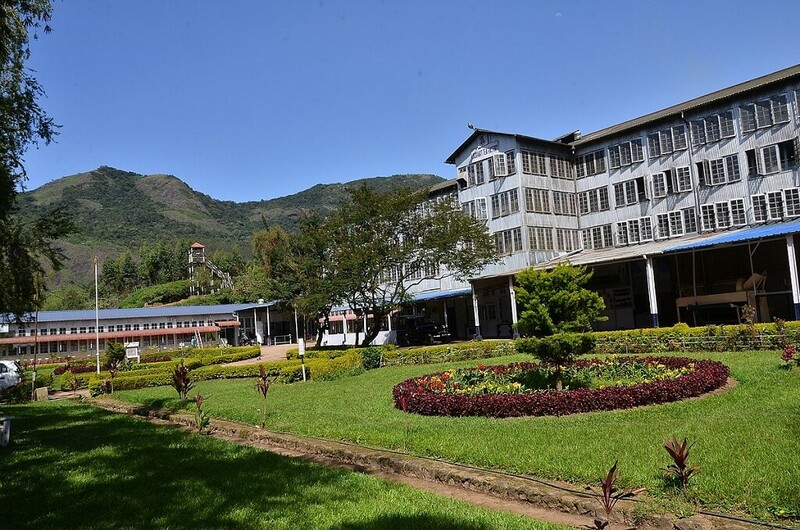 The museum also houses olden machinery, tools, books, photographs of the olden age tea plantation methods. The tourists can also take back varieties of tea from here in pocket friendly prices. There are even garden, relax point, watch tower, etc to spend some relaxing time in. You can spend about 1-2 hours here. Dwelling in the hills of Munnar, at a height as high as 1700m is this beautiful location of Mattupetty. You can reach here by driving for nearly 13kms from Munnar. The hills of Mattupetty are sojourned with exotic green valleys, serene lake and the fabulous climate. The perfectly constructed dam adds to the beauty of this place. There may be heard of elephants seen roaming around making the view more fascinating. Mattupetty has been the choice of place for visitors, willing to spend some fabulous time with loved ones, since years. The lake here provides them some of the best relaxing time of their vacation. The lake and the dam are just few miles apart and are the main points of tourists attraction. The lake gives a serene view of the mighty hills around, covered by endless woods, shoal forest and acres of tea plantation. Besides soaking yourself in the tranquility of the nature, there are varieties of activities to do here. The time slips here like sand, once you engage yourself in water sport activities like speed boating, pedal boating, motor boating or row boating. Shoal forest provides excellent trekking trail for the adventure enthusiasts. For the ones loving peace can sit in the shore and soak themselves in the placid ambience here. Besides so many activities there is still an important thing left to see here- the cattle farm. You must be amazed to know that Mattupetty is regarded as ‘cattle village’, as the place is famous for its Indo Swiss farm project or the Livestock project. Just 3 kms from the Mattupetty Dam is this cattle dedicated farm, where one can see thousands of high yielding cattles of different varieties freely grazing around the farm. The place is always in a pleasant form for the tourist but I would recommend visiting in the months between August to May to extract out the maximum of this place. If you have heard only about Darjeeling for tea plantation, then hold your breath to listen from me about another mesmerizing tea plantation in India, the Chinnakanal tea plantation. The place is blessed with one of the finest tea in the world. When backpacking Munnar, this place is something not to miss! 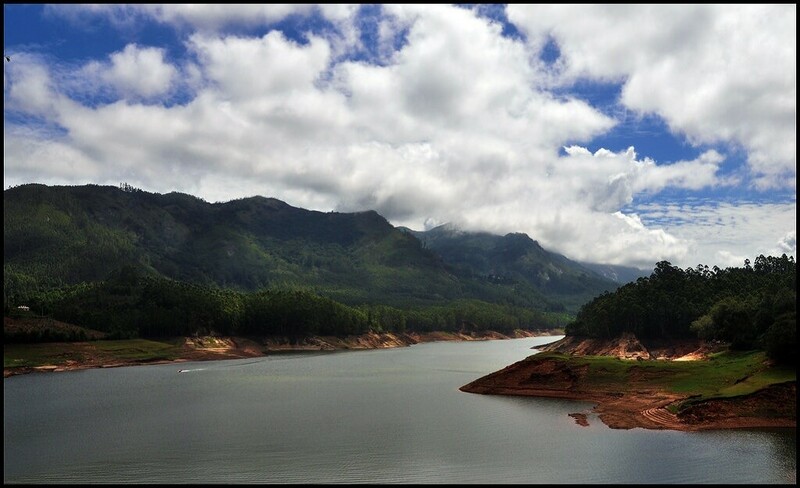 You can drive for 21 kms from Munnar, to reach this limpid place. Once you are here, you can go on a jeep ride and navigate around the bushes of tea. The bumpy ride in the field, the aroma of the tea, the freshness in the air and the picturesque surrounding are going to leave an inerasable picture in your hearts forever. If you really want to witness some of the extremely endangered and rare species of animals then you must top this place in your itinerary. The place inhabitats rarely found species of endangered Nilgiri Tahr and mountain goat. Apart from these the other ungulates are lion-tailed macaques, gaur, Indian muntjac and sambar deer. Other to notice are Golden jackal, jungle cat, wild dog, dhole, leopard, tiger, Nilgiri langur, stripe-necked mongoose, Indian porcupine, Nilgiri marten, small clawed otter, ruddy mongoose, and dusky palm squirrel. Elephants can also be seen seasonally. The park also contains total of 132 species of birds including endemics like black-and-orange flycatcher, Nilgiri pipit, Nilgiri wood pigeon, white bellied short wing, Nilgiri flycatcher and Kerala laughing thrush. More to innumerate are the endemic butterflies of the shola-grass land ecosystem like the red disk bushbrown and Palni four wing are among the 101 other species in the park dwelling harmoniously with the 19 species of amphibians in the park. So this place turns out to be the heaven for the zoologists and the wildlife lovers. The tourist’s accessible area in the park is known by the name Rajamalai. If you are planning to be here, make sure that you don’t choose the days in February and march month of the year as the park remains closed for the tourists during this time. Let me acquaint you beforehand that the tour to this place may take up half of your day due to rush and long queues as online ticketing facility is not available here. So including this place in your 1 day itinerary to Munnar may take up half of your day. Apart from the above mentioned places, there are Devikulam Lake; Kolukkumalai (known to be the highest tea plantation in the country), Anamudi, Devikulam, Muniyara Dolmens, Photo Point, Echo Point, Pothemadu; the waterfalls like Lakkam, Attukal, Nyayamakad, Chinnakkal, Kuthumkal, Cheeyapara, Valara and Thoovanam etc to explore. What to take back home? 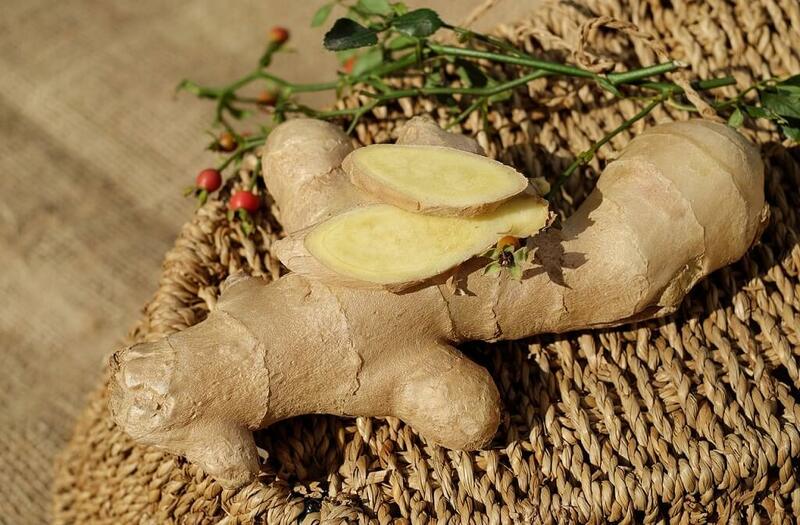 Don’t forget to fill your bags with tons of spices like ginger, cardamom, pepper, cinnamon, coffee, clove, nutmeg etc. and the iconic homemade chocolates for yourselves and your loved ones. And a hell lot of memories for lifetime. Munnar does not has its own airport or railway track, so you can step into any city of Kerala, Tamil Nadu or Karnataka and from where can get direct buses to Munnar. 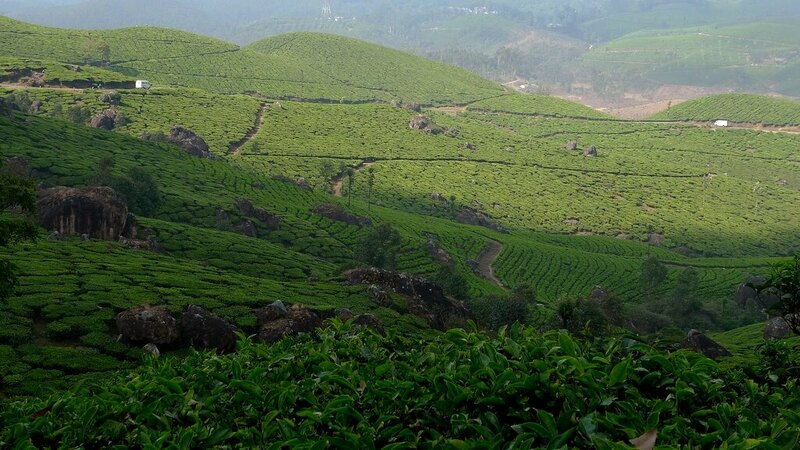 Greenery is the prime thing which gives rise to loveliness and Munnar is no exception. The visit to this place is surely going to change your outlook for life. The peace and tranquility one gets here is huge enough to stock for lifetime. I hope this informative article would have given you plenty of reasons to make Munnar your next holiday destination. Be ready to contemplate the beauty of the nature, and store enough strength to endure lifelong. And don’t forget to share your experience with us once you are back from this heavenly place.